Skylar works closely with her clients – both in and out of the courtroom – to help them avoid and solve their workplace conflicts. She represents clients of all sizes throughout the Pacific Northwest in a variety of industries, including health care, manufacturing, public higher education, retail, recreation and leisure, food and beverage, electric utility construction and aerospace. Throughout all stages, Skylar strives to identify practical solutions to meet her clients’ business needs. Skylar frequently provides training to employers relating to topics such as effective and lawful management, discrimination and harassment – all of which focuses on fostering a respectful work environment. She is also a frequent speaker on employment topics, including developments with state and local laws relating to paid sick and safe leaves, minimum wages and consideration of conviction and arrest records. 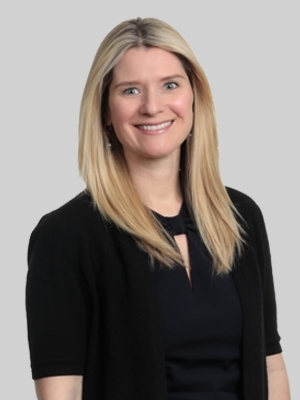 In addition to her HR advice practice, Skylar regularly defends employers in litigation in state and federal courts and in agency charges before the Equal Employment Opportunity Commission (EEOC) and Washington State Human Rights Commission (WSHRC), as well as litigating noncompete matters. She has secured trial victories and dismissals for her clients in cases involving claims of discrimination, harassment, retaliation, failure-to-accommodate, wrongful discharge, military discrimination under USERRA and state law and wage and hour claims. Prior to joining Fox, Skylar was a principal and chair of the Employment Law Group at Riddell Williams P.S. She was also a member of Riddell Williams’ Women Attorneys Group, which united with local businesswomen and charities. Skylar served as a judicial clerk for Washington State Supreme Court Justice Faith Ireland (Ret.). While in law school, she was a senior editor of Health Matrix: Journal of Law-Medicine, received awards for excellence in trial practice and competed in the Dunmore Moot Court Competition, later serving as a moot court brief adviser. Skylar served on the board of directors for PROVAIL, an organization that helps children and adults with disabilities live independently and fulfill their life choices.